Pioneer SK8 Park is extremely diverse with something for everyone, whether you’re a ramp skater or a street skater. 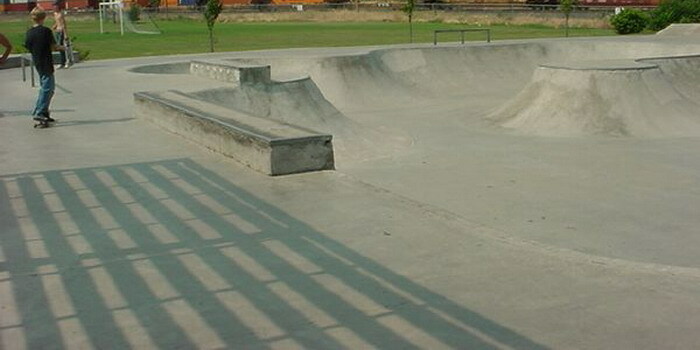 The La Grande Skatepark in Oregon is approximately 15,000 square feet, with restrooms nearby. There are two spines, a half pipe, pyramid, banks, a vert extension, hips and plenty of transitions to bust. 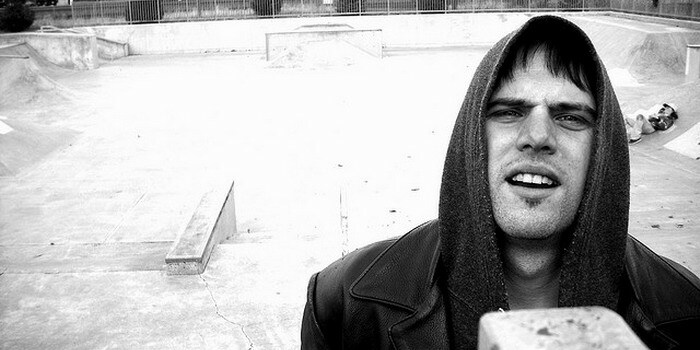 For street skaters, there are four sizes of grinding ledges: one over a double set ten stair; one over a quarter pipe; one along a fun box; and a small one over a four stair. There are also two slanted grinding ledges. Take Exit 261 off I-84; turn left onto Island Avenue (Highway 82). At the third stoplight, turn right onto Adams Avenue (Highway 30). Go three blocks past the fifth stoplight and turn right onto Oak Street. Oak will dead end on Palmer Avenue. Turn right onto Palmer and go one block. Turn left into Pioneer Park. The SK8 Park will be approximately one block on your right. FOR MORE INFORMATION AND EVENT SCHEDULING, PLEASE CALL (541) 962-1352. Alex Ellison Catching Some Air in La Grande.